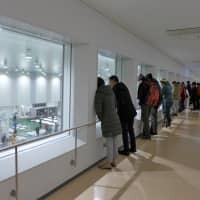 Visitors formed long lines before daybreak on Tuesday to catch a glimpse of Tokyo’s renowned tuna auctions — now at the Toyosu wholesale fish market — as an observation deck opened to the public for the first time since the relocation from Tsukiji in October. Visitors who won coveted spots to the viewing area — an elevated, glass-panelled deck with a partly open space overlooking the tuna auction rooms — huddled up against the glass in the early hours of the morning, watching as the auctioneers chanted prices while bidders made hand signals indicating their bids. 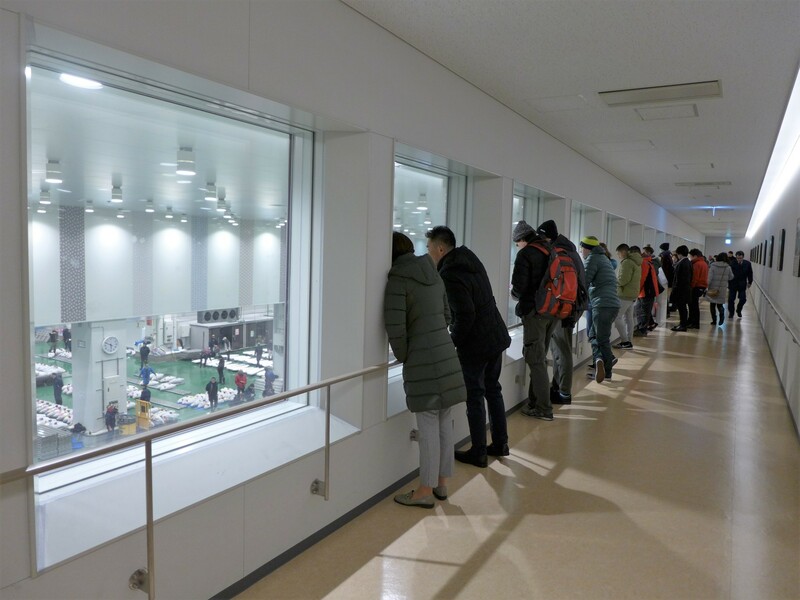 Atsuto Nakano, 54, who lives nearby and often jogs in the vicinity of the market, had often visited the site and watched the action from the windows of a second-floor corridor that runs the length of the auctioning area. 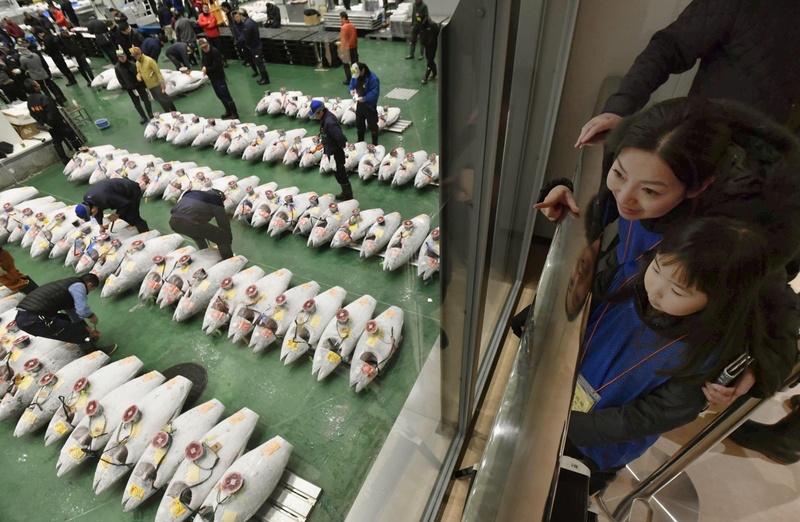 Unlike at Tsukiji, where people were able to watch the auctions on a first-come, first-served basis, visitors must enter a lottery about a month prior to secure one of the 120 spots available. Some visitors without bookings had to make do with watching the auctions from the second-floor corridor, but even with the limitations the experience won positive reviews. 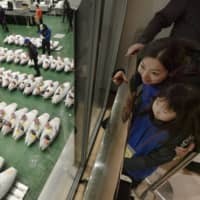 “I thought that we could be up close, but it was still amazing to see all of the fish laid out and see the process of how it’s done,” said Alexander Tagiev, a 30-year-old designer visiting from Germany. Markus Wolbert, a 33-year-old hotel manager based in Switzerland, agreed that the scene was “impressive” despite the distance. “It’s not so important for us to hear everything or get as close as possible,” he said, adding that “just to see” the auctions was enough. 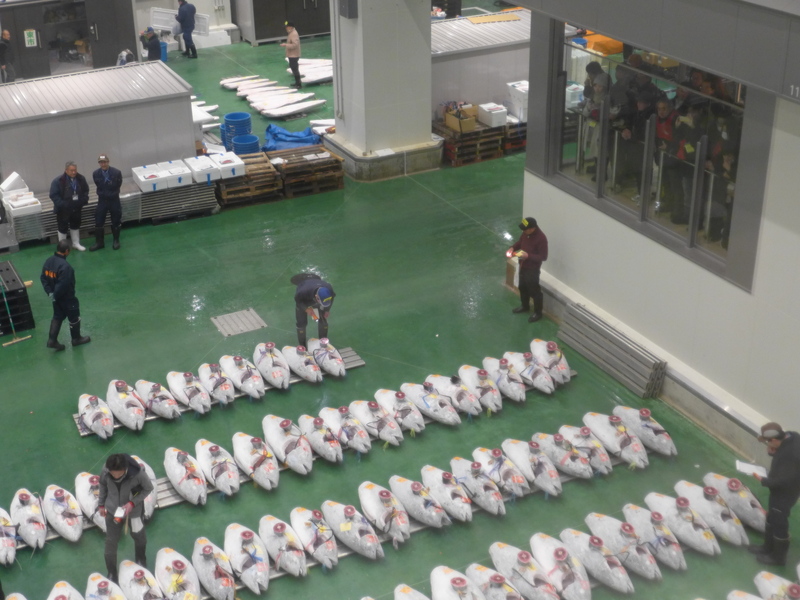 Public access to the tuna auctions had been suspended for a few months while the market moved from its previous location in Chuo Ward to its new site about 2 kilometers away in Koto Ward. Visitors can register to enter the lottery for a spot on the observation deck either by phone or through the Metropolitan Central Wholesale Market website. Admission is free. Further details regarding the tuna auctions can be found on the Metropolitan Central Wholesale Market website.